Most authors would agree, when you’re in the middle of a literary epiphany, the last thing you want is an interruption. That’s why I love this “studio.” Unfortunately, for me, I live in a condominium building and don’t have a backyard. I would love a stand alone office like this one. It would invite less interruptions. The only drawback is, I might never leave it.
" Don't say anything, please," retorted Scrooge. "Come and see me. Will you come and see me?" bowls of punch, that made the chamber dim with their delicious steam. 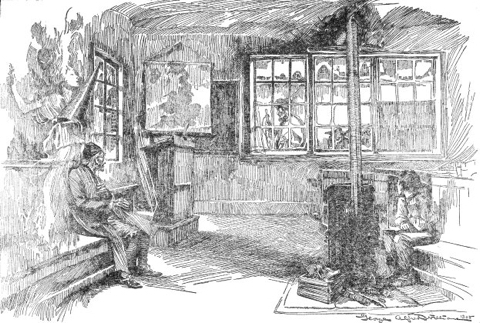 In easy state upon this couch there sat a jolly Giant, glorious to see; who bore a glowing torch, in shape not unlike Plenty's horn, and held it up, high up, to shed its light on Scrooge as he came peeping round the door. that bed was warm, and the thermometer a long way below freezing; that he was clad but lightly in his slippers, dressing-gown, and nightcap; and that he had a cold upon him at that time. The grasp, though gentle as a woman's hand, was not to be resisted. He rose: but, finding that the Spirit made towards the window, clasped its robe in supplication. "You recect the way?" inquired the spirit. "Remember it!" cried Scrooge with fervour; "I could walk it blindfold." the children bade the schoolmaster good-bye right willingly; and, getting into it, drove gaily down the garden sweep; the quick wheels dashing the hoar frost and snow from off the dark leaves of the evergreens like spray. 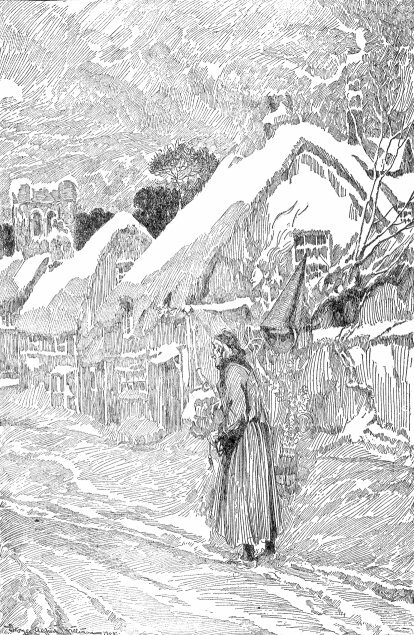 But now a knocking at the door was heard, and such a rush immediately ensued that she, with laughing face and plundered dress, was borne towards it in the centre of a flushed and boisterous group, just in time to greet the father, who came home attended by a man laden with Christmas toys and presents. Then the shouting and the struggling, and the onslaught that was made on the defenceless porter! The scaling him, with chairs for ladders, to dive into his pockets, despoil him of brown- paper parcels, hold on tight by his cravat, hug him round the neck, pummel his back, and kick his legs in irrepressible affection! The shouts of wonder and delight with which the development of every package was received! The terrible announcement that the baby had been taken in the act of putting a doll's frying-pan into his mouth, and was more than suspected of having swallowed a fictitious turkey, glued on a wooden platter! The immense relief of finding this a false alarm! The joy, and gratitude, and ecstasy! They are all indescribable alike. It is enough that by degrees, the children and their emotions got out of the parlour, and, by one stair at a time, up to the top of the house, where they went to bed, and so subsided.